As one of Katz Friedman’s esteemed Labor and Employment attorneys Joshua File serves as a zealous advocate for the firm’s many labor union clients. In addition to representing labor unions in traditional labor law practices, Josh represents individual employees who have been the victim of unlawful employment practices by their employers. Josh has successfully represented individual employees in cases arising under the Family and Medical Leave Act (“FMLA”), the Americans’ with Disabilities Act (“ADA”), the Fair Labor Standards Act (“FLSA”), the Illinois Wage Payment and Collections Act, and a variety of Equal Employment Opportunity laws such as Title VII and the Illinois Human Rights Act. Josh joined the firm’s Labor and Employment practice in 2011. He has spent his entire legal career devoted to representing labor unions and fighting for the rights of working men and women everywhere. An aggressive litigator, Josh has gone head to head against many Fortune 500 companies such as BP, Ford, ABC and American Airlines. He has successfully litigated against major public employers such as the City of Chicago and the State of Illinois on behalf of both individual employees and public sector labor unions. Josh frequently practices in State and Federal courts throughout the state of Illinois, as well as before the National Labor Relations Board, and both the Illinois Public Labor Relations Board and Illinois Educational Labor Relations Board. Josh has handled numerous labor arbitrations on behalf of the firm’s various union clients. In addition to his work in the court room, Josh works closely with the firm’s union clients offering advice and counseling on a myriad of legal issues. Josh has traveled all over the State of Illinois regularly providing educational seminars to labor unions on a variety of labor and employment law topics. Josh has also been a speaker at the annual Illinois Public Sector Labor Law Conference for Continuing Legal Education at IIT Chicago-Kent College of Law. 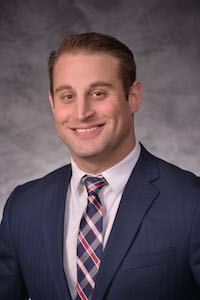 Josh earned his Juris Doctor from DePaul University College of Law in 2011, where he graduated with a certificate in Business Law and was the recipient of the CALI Excellence for the Future Award in Litigation Strategies. He earned his Bachelor of Science in Public Affairs from Indiana University in 2007, where he graduated with a major in Legal Studies and a minor in Business Management. He is a devoted fan of the Indiana Hoosiers. Josh is a member of the Illinois State Bar. He is admitted to practice before the Supreme Court of Illinois and the United States District Courts for the Northern and Central Districts of Illinois. Josh is a member of the Illinois State Bar Association, the American Bar Association and the Chicago Bar Association. He serves on the Chicago Bar Association’s Young Lawyers’ Division Committee for Labor and Employment Law.